The summer weather may force you to find indoor activities. Playing a game of “I Spy” in an art museum might be the perfect solution. 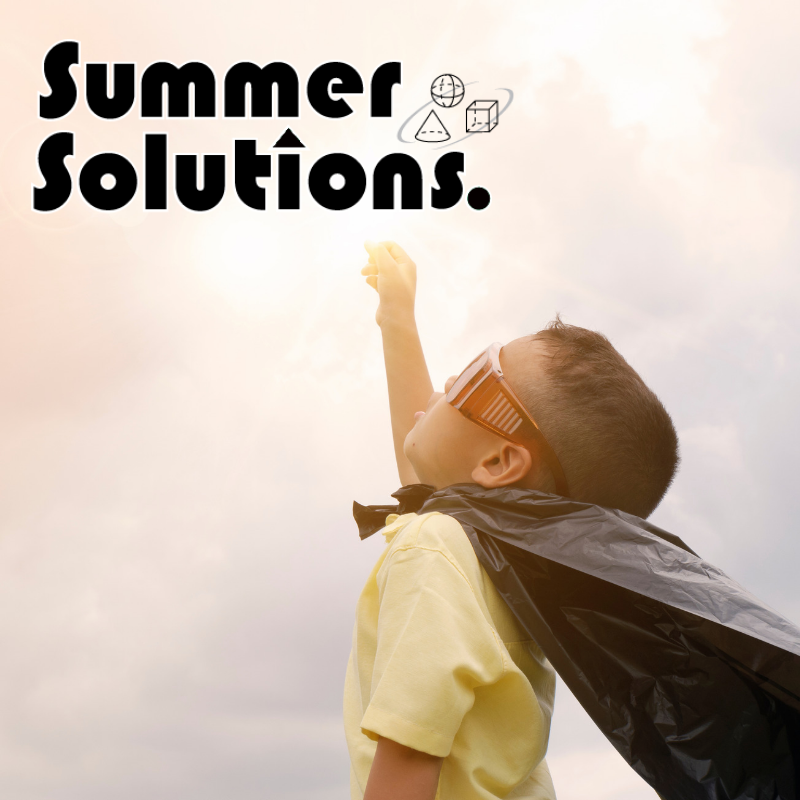 Whether the temperatures outside are too hot or too chilly, the kids will really enjoy walking around an art museum looking at all of the works of art on display. Last week I took my own children and a few of their friends. The group had a very large range of ages and abilities, but everyone had fun pretending that they were in a real life I Spy book! 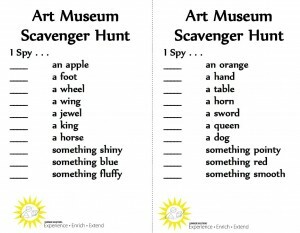 Download the Art Museum Scavenger Hunt HERE! What I enjoyed about this game was that each child could play at his or her own level. It also prevented them from rushing from room to room. 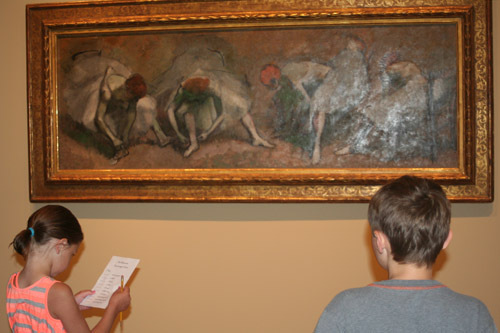 The kids had to take time to look at the art in order to find items on their list. We were complimented numerous times by other visitors on how well behaved our children were. 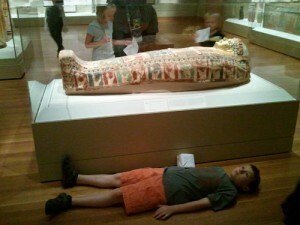 Their favorite display was the Ancient Egypt display. Here, the children tried to translate the hieroglyphics, and even tried to see if they would fit in the sarcophagus made for a king! When we left the museum, the kids were ready to create art on their own. A large game of “statues” began. During this game the children would all shape their body into a statue, all at the same time and the adults would walk around them trying to guess what they were a statue of. Most of the games ended with the kids falling out of position in a fit of giggles. 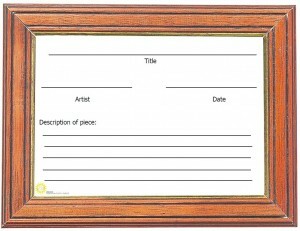 Another extending activity is to create an art museum at home. Here the kids can find a wall to display their artwork on. By writing each work’s title, artist, and date created, they will be practicing skills that the English portion of the Common Core State Standards addresses. Download the art tags here! The art museum we visited was the Cleveland Museum of Art. If you go, be sure to visit the interactive art wall! 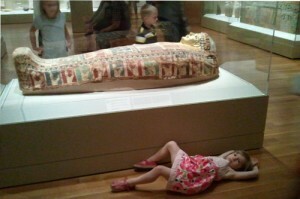 Parents Magazine list of 10 best Art Museums for Kids.